A few days before heading to Hawaii with three girlfriends to grieve and reminisce about when our children were babies, I went to the nail salon to have a manicure and a pedicure. I’m still not sure why I went to the nail salon in my town given that I’m currently afraid of the general, not-grieving population, but that is where I went—probably out of habit. Cautiously inching along the shop’s long hallway, I surveyed the other patrons looking for familiar faces from under the brim of my cap. There were none and I felt slight relief that I could be anonymous as I indulged in something so trivial as trimmed cuticles and brown nail polish. Not long into my pedicure, a woman was seated to my right. Her young daughter was seated to my left. 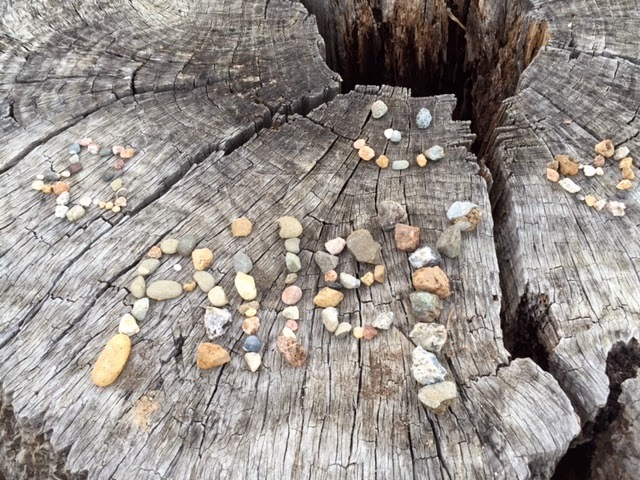 They chatted about their day and the brother at school and I decided to use that moment as an opportunity to say out loud that my son had died. I could practice saying it to this stranger. I could ask her about her kids and we’d talk about our children, so normal. “How old is your son?” I asked during a lull in their conversation, wondering if he knew Riley or about him. “And does he go to Brittan Acres?” She said he was about the same age as C, but goes to a different school. Like the moment before a falling glass meets the ground, I knew our conversation was about to burst into tiny shards of shattered thoughts. I set it up and waited for the impact, the mess of my reality. “Do you have other children?” she asked. “I used to have a 6th grader,” I muttered. That was all I managed. Once I said it out loud, I didn’t know how to say anything else. Honestly, I wasn’t even sure she heard me because I said it in what felt like a whisper, forcing those broken words from my lips. And the words felt so jumbled as they fell, that I wasn’t sure—even if they were audible—that they weren’t nonsensical. I wanted to try speaking my truth in a way that made it sound normal, given that it is anything but normal. She was my guinea pig. She was silent after I spoke, we both were. Our conversation was broken, jagged, a messy beast to slowly back away from. The fact that was I was even getting my nails done felt so wildly inappropriate. How could I possibly be getting my nails done given that my son had died? How could I possibly do something so frivolous given that something so profound had happened? I felt ashamed. I want to believe that the chance encounter that led to that email from a stranger was the universe’s way of saying it’s okay to take care of myself. It’s okay to leave the house. It’s okay to have my nails done, go for a hike, drink a latte in a coffee shop. Maybe no one is judging me even though it feels that way. I suspect my biggest obstacle, the biggest critic, the most judgmental person approving and disapproving of how I spend my time as I try to learn how to move among humans who haven’t lost children—sadly, is me. There is no coincidence that Congenital Heart Defect Awareness Day coincides with Valentine’s Day. It's the day of the year when heart defects make national news and stories about children battling against nature with the help of medical technology come into the spotlight. But in my family—and probably in many families who have a child with a CHD—there really isn’t much to differentiate CDH Awareness Day from the other 364 days a year because there is no such thing as forgetting about it, even for a single day. It’s always there, beating in the background of our lives. With every medicine dose. With every visible (and invisible) scar. With every extra doctor appointment, hospitalization, and blood test. Four years ago, I tried to reclaim Valentine’s Day as the one day of the year that I would forget about congenital heart defects and just be in love the way that Hallmark intended. In love with my children, in love with my boyfriend (now husband). I thought I deserved that one day off, even if Riley didn’t get to take a day off from his medicine or have a day where running—or even walking—was easy. Now that my son has died, I won't even pretend to imagine a day without CHD awareness. He is synonymous with it, and he is everywhere. Even when I'm not looking for him. As I checked in at the lab this morning for some routine tests, I saw his health insurance card and realized that there will never be another day when I present it to a receptionist at any doctor's office. As my blood was being drawn, I thought of all the blood tests he’d endured during his lifetime. When I was at the library, I found out that his card had expired. I paid the overdue fines accumulated when he was in the hospital and felt another loss realizing he won't be checking out any more books. I renewed his library card anyway. As I considered the Valentine's Day card I need to decorate for his brother's school party, I was reminded of CHD Awareness Day, the official day that everyone is supposed to care. The day when people like me want to think that all those news stories and ribbons actually make a difference. 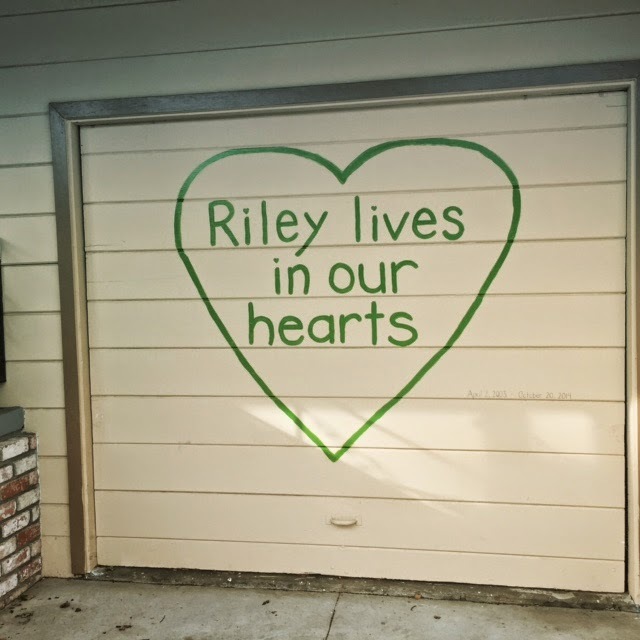 And as I painted the garage door with the words: "Riley lives in our hearts," I realized that painting things green doesn't actually do anything, aside from making me feel like his spirit is slightly less invisible. But that's probably only to people who are looking for it in the first place...and, of course, to our across-the-street neighbors. Snug tee shirts with baseball logos or stripes that fall just below my bellybutton aren’t really my style. But my son’s shirts somehow fit around my torso and fleshy, upper body girl parts. For three days, I wore them hoping to channel my now dead 6th grader, pleased, yet bewildered that this stack of unused clothing used to cover his body. Everything he wore was baggy. It was only when he stripped down without a thread of modesty at bedtime was I reminded of his thinness and how his bones were held together with so little. Late Sunday afternoon, I tried to complete an outfit. Sliding the shorts up my legs, they got stuck somewhere slightly above the knee. I was bemused that they didn’t fit. I thought they could somehow manage my grown-up body because we always had pulled the elastic so tight around his slim eleven-year-old frame. Surely there was enough cotton and elastic for me. Once I hiked them up as much as they could go, I stood in front of his closet for a bit wondering if I’d lodged them into my flesh just enough keep them in place. I mentally scanned my closet to imagine what I could wear that was long enough to make it work. But then I realized that I’d have to replace his tee shirt with something else, and wearing his tee shirt was comforting. 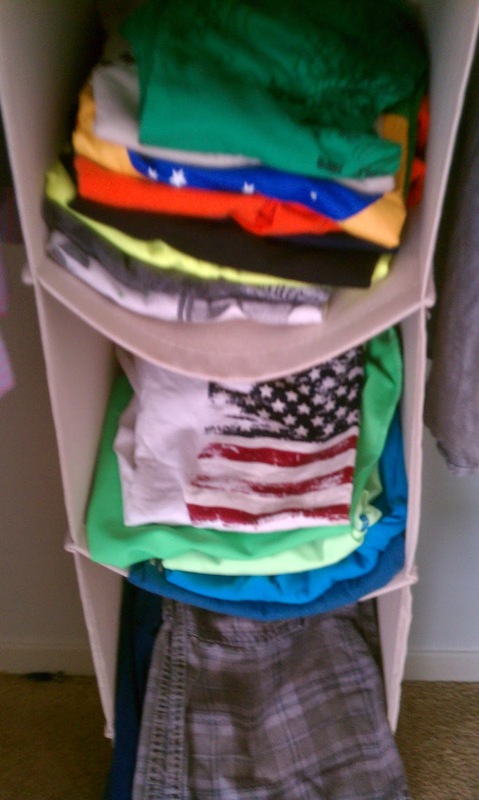 After removing the shorts from the mother's body, I folded them neatly and returned them to the son’s closet. From there, I went to his twin-sized bed, opened the comforter, and let it swallow me. Once inside, while wearing his tee shirt, the items on his side table caught my eye. I fastened his watch around my wrist, hung his Rainbow Loom necklace from my neck, and put his glasses on my face. From that perspective, while clutching the Freddies (his beloved penguins) in my arms, I flipped through the pages of the map book he made with his best friend, hoping to find him as I experienced the world from his vantage point.